Why a guided tour is an ideal family vacation. Taking the family on holiday can sometimes be a real balancing act. If there are a range of children’s ages and interests to take in to consideration, not to mention the desires of the adults in tow, conflicts can sometimes arise. Everyone gets excited about holidays and expectations run high – so what is the best way to make sure nobody is disappointed? One option is to book a family guided tour to explore and learn more about the holiday region. This may not be an immediately obvious idea, but there are many positives to recommend this often underrated type of excursion to families who are travelling together. Holidays are supposed to be restful, but more often than not parents find them exhausting. A guided tour hands over the reins to someone else that will entertain, animate, and direct proceedings for a while. It is often the case that children absorb information far better from those other than their parents andthe enthusiasm of tour guides could inspire a real interest for the history and legends of the area in them. Guided tours enable the less obvious sights of the area to be seen. One of the main advantages of having an expert guide introduce the area is that they will know how to avoid the busy times when tourists flock to the big attractions. They can help minimise the hassles that most people experience when travelling in unfamiliar areas and maximise the pleasure of the group. Sometimes they will be able to negotiate price reductions for entrance fees to attractions. There will be no arguments over map reading or the satnav sending the car up dead end lanes; the tour guide will know the area like the back of their hand and will be keen to extol its virtues. They will be familiar with great places for lunch like the picture postcard pub with roses around the door, serving ploughman’s lunches outside at a garden table and chairs overlooking the West Country. They will tell funny tales and give interesting facts that make the surroundings come alive. They will have the inside story on the local area and with this privileged knowledge they will make the day unique and special. In today’s modern world families increasingly spend time interacting more with computers and gaming devices than they do interacting with each other. A guided tour offers a family the chance to bond by providing a shared experience likely to live on in their memories for a long time. The weather in the United Kingdom is notoriously unreliable; however, most guided tours will not be too affected by rain. If a day on the beach is ruled out by poor conditions, why not keep warm and dry on a guided tour of the region by minibus or car? Sometimes we are guilty of doing the same things year in and year out while on holiday. We are comfortable with going to the same places, doing the same activities, and seeing the same faces. By pushing the boundaries and doing something completely different, who knows what amazing new discoveries we could make? 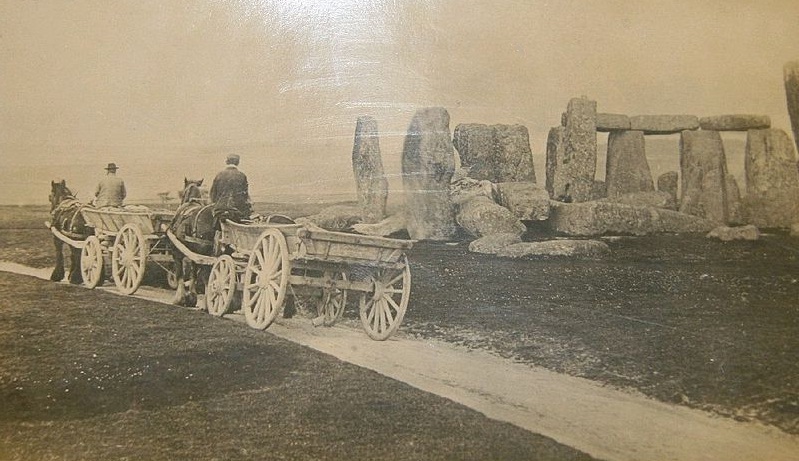 Intense and brooding images of Stonehenge and other prehistoric monuments in a new exhibition are taking visitors deep into the heart of Thomas Hardy’s ‘Wessex’. Archaeologists debate the purpose of Stonehenge, but for Hardy it was a haunting symbol of isolation and suffering. The exhibition by three artists at Salisbury Museum mirrors the Dorset author’s emotional response to the archaeological sites he knew and used with such effect in his novels. His use of landscape was highly symbolic and deeply emotive. Nowhere is that more clear than in his description of Stonehenge, which features in the climactic scene of Tess of the d’Urbervilles. In the dead of night, Tess stumbles upon the monument, and lies down to rest on an ancient altar, giving the allusion of her character as a sacrificial offering to a society that has cast her out. Hardy describes the isolation of the monument on Salisbury Plain, and once inside, the feeling of enclosure. Symbolism is central to Hardy’s writing, which may be why so many artists use his work as their inspiration. Artists Dave Gunning, David Inshaw and Rob Pountney have collaborated to show the dramatic landscapes and archaeology in media ranging from charcoal to steel etching and oil paint. They share a common interest in how Hardy used landscape to symbolise the emotional and physical experiences of his characters. He revived the Saxon name ‘Wessex’ as a part-real, part-dream landscape, thinly disguising place names so that Salisbury becomes Melchester and Dorchester becomes Casterbridge. Salisbury Plain is sometimes called the “Great Grey Plain”. Dave Gunning, who was awarded the Year of the Artist Award in 2000-1 by the British Arts Council, has spent more than 25 years studying the prehistoric landscape in the West Country, particularly the ancient monuments within the World Heritage Site of Stonehenge and Avebury. David Inshaw is one of Britain’s leading contemporary artists. His work is often inspired by literature that takes landscape and nature as its focus. Rob Pountney has always been fascinated by Thomas Hardy’s work, and says the use of dramatic contrasts of light and shade in his work captures the striking visual aspects of the geological and archaeological features of the Wessex landscape, and his interpretation of Hardy’s response to them. Salisbury Museum is the perfect place for the exhibition, which opened on Saturday and runs until April 14. In Jude the Obscure, Hardy bases the college that Sue Bridehead attends on the training college for schoolmistresses that his sisters attended. This was the King’s House, Salisbury, and is now home to the museum. Thomas Hardy was born at Higher Bockhampton, a hamlet in the parish of Stinsford to the east of Dorchester. 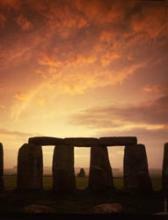 A huge winter solstice feast might have taken place around Stonehenge some 4,500 years ago. Abundant cattle and pig bones recently unearthed a few miles from the megalithic site suggest that prehistoric people celebrated the connection between the stone circle and the sky with hundreds of roasts. According to initial research led by Mike Parker Pearson of the University of Sheffield, U.K., the animals were walked from different places and for hundreds of miles to be slaughtered immediately after arrival at Durrington Walls, a massive circular earthwork, or henge, two miles northeast of Stonehenge. 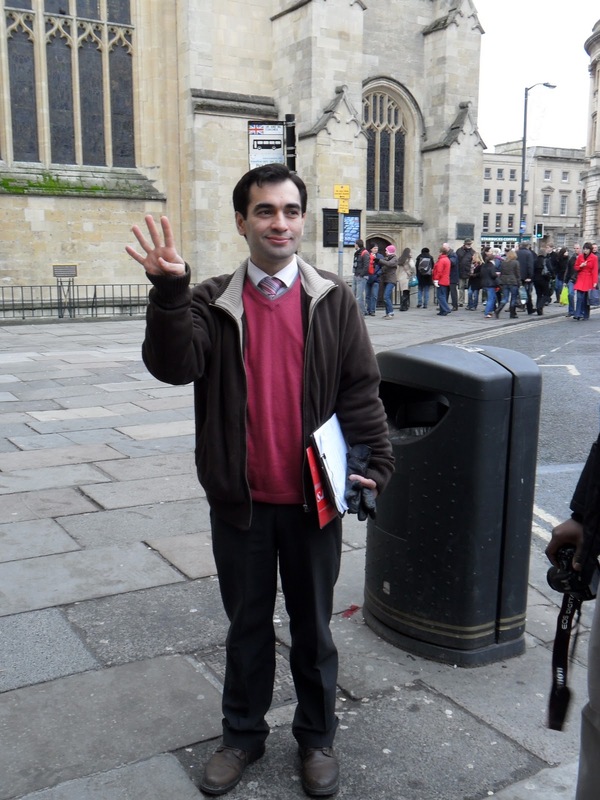 Parker Pearson’s research has shown that this site attracted people in droves as far back as Neolithic times. “The considerable quantities of pig and cattle bones, pottery, flint arrowheads and lithic debris indicate that occupation and consumption were intense,” wrote Parker Pearson, who has was awarded a grant of £750,000 to analyse a range of materials found at the site. So far, the archaeologist has found no evidence that Durrington was permanently inhabited. He believes that the intense human activity was linked to feasting during the solstices. 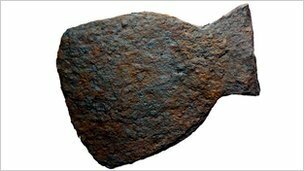 “The small quantities of stone tools other than arrowheads, the absence of grinding querns and the lack of carbonised grain indicate that this was a ‘consumer’ site. 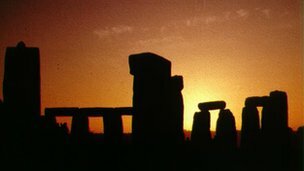 The midsummer and midwinter solstice alignments of the Durrington and Stonehenge architecture suggest seasonal occupation,” Parker Pearson said. Stonehenge will open at 7.45 a.m. for people who brave the cold to watch the sun rise shortly after 8 a.m.
Stonehenge Tour Guide. Mystical Landscape, Magical Tours…. The results of our readers’ vote for Britain’s best building are in. Did your favourite win? When we asked which British building you thought deserved to take the final place in our Britain’s best building series, we got a wonderful response and a vast range of suggestions from the very old Stonehenge to the not even finished Shard. But there was one building that was nominated time and time again. Napoleon471 said it is ‘the most beautiful building in the UK’ . gabbyannie commented that it’s “quite wonderful in the daytime, but transformed into a breathtaking sight after dark” and Rosiebriar declared that “the magnificence of its setting high on the peninsula, the grandeur of its architecture dating from 1093, World Heritage status and the endorsement by Dr Bill Bryson all commend this greatest of British buildings.” After three days of voting, the readers’ choice for Britain’s best building is Durham Cathedral. You picked wisely: there are few finer buildings of any period in Europe. 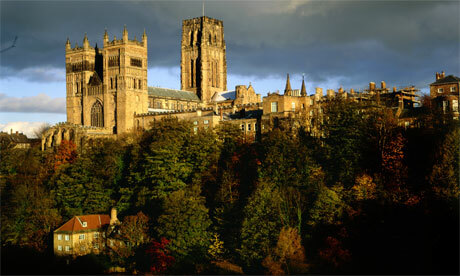 With its commanding setting on a headland high above the River Wear, Durham Cathedral is unmissable, and magnificent. Its architecture is at once powerful and poetic, a monument to the Norman invaders who created it from 1093. But, although clearly designed to dominate the region, the muscular cathedral is most beautiful when you step through its west front and face the length of the incomparable nave. Such beauty and such tragedy, too; here, 1,700 of the 3,000 Scottish soldiers imprisoned by Cromwell within these unbreachable walls died from wounds, disease and starvation; and here, meddling Georgian architects came to mess about with the venerable fabric. And yet, Durham Cathedral has survived and, today, is probably in better shape than it has been in hundreds of years. Two children have found “rare” specimens of a fossilised sea creature at the Cotswold Water Park. Emily Baldry, five, from Chippenham, discovered the Rieneckia ammonite during a fossil hunt organised by the Cotswold Water Park Society on Sunday. Hugo Ashley, from Poulton, and his grandfather also found an ammonite cadoceras, and another Rieneckia ammonite. A society spokeswoman said Rieneckia ammonites were “extremely rare”. Ammonites were free-swimming molluscs of the ancient oceans, living around the same time as dinosaurs. 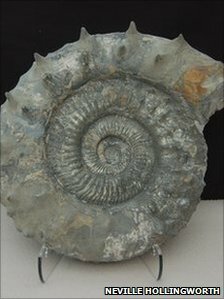 Society spokeswoman Jill Bewley said: “The chances of finding something like this [Rieneckia ammonites] are really, really slim. After Emily hit upon the fossil with a spade, her father and palaeontologist Dr Neville Hollingworth helped her dig out the block of mudstone the 162.8 million-year-old object, which had spikes to ward off predators, was encased in. A range of other fossils, including many ammonites, were also found during the hunt, in a sand and gravel quarry within the water park. Ms Bewley said that once work to expose the Rieneckia ammonite, which measures about 40cm (16in) in diameter is complete, it will go on display at the Gateway Information Centre along with a range of other fossils. She said Dr Hollingworth found another Rieneckia ammonite in a similar quarry in the park several years ago. The 42 sq mile site of the Cotswold Water Park, which has 150 lakes, is on the Gloucestershire-Wiltshire border. During the Jurassic period, 165 million years ago, the area was a warm shallow sea.